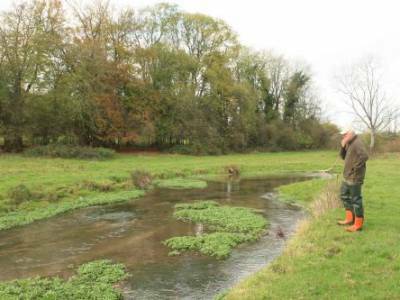 Upstreamdryfly’s River Meon chalk stream fly fishing beats at Midlington, near Droxford, Hampshire. 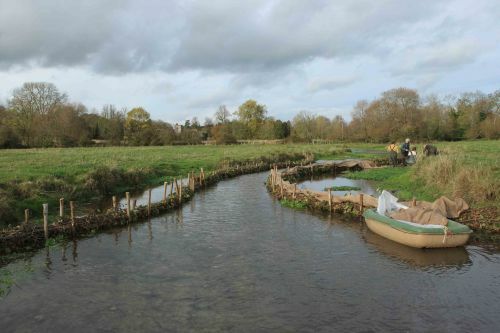 The Wild Trout Trust environmental enhancements on a section of the River Meon at Midlington. 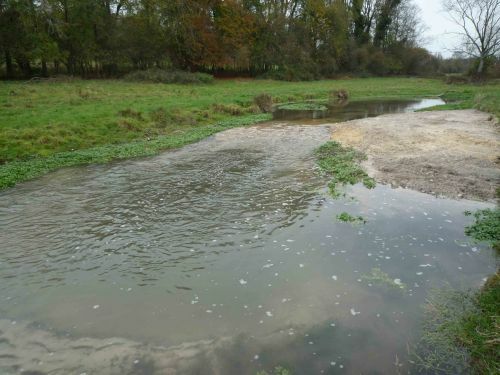 Following an advisory visit to the Midlington reach of the River Meon by the Wild Trout Trust in March 2009, my concerns were collaborated that the river had been over widened and therefore shallowed by cattle poaching the riverbanks in years gone by. 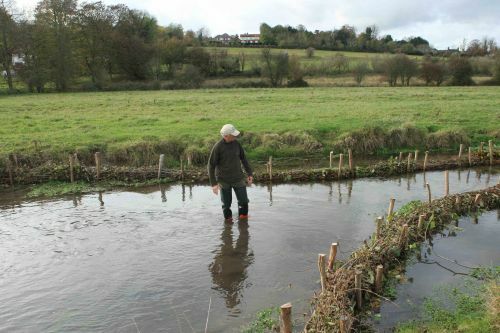 alongside the WTT, Dr Nigel Holmes on behalf of the Hampshire Wildlife Trust was also involved. 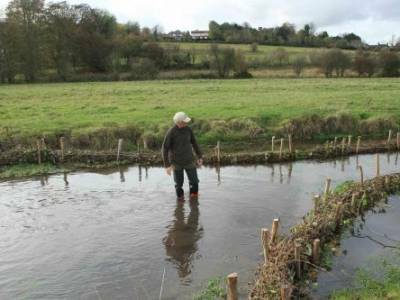 The aim was to restore 3 types of habitat. 1. Fast flowing riffles over clean gravel for trout spawning. This is accomplished by pinching (narrowing) the stream. 2. Deeper pools for adult trout holding habitat. 3. 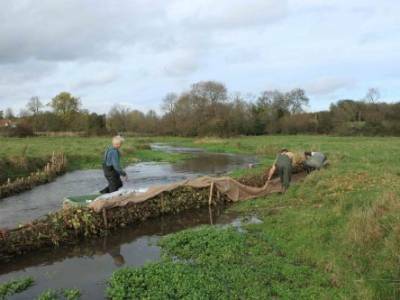 Enhance bank-side vegetation and in channel woody debris, creating habitat for juvenile trout. It appears that much of the trout predation is from avian species such as herons and egrets. Juvenile trout hide in branches of dead and overhanging trees and the deeper pools provide water that is too deep for these species to effectively hunt in. Firstly, the Wild Trout Trust used hazel faggots to narrow the stream at a ‘pinch point’, thus creating faster water (a riffle). Just downstream of the riffle, the Trust staked in a tree trunk forcing the water to plunge and undercut the trunk. This created a nice pool. 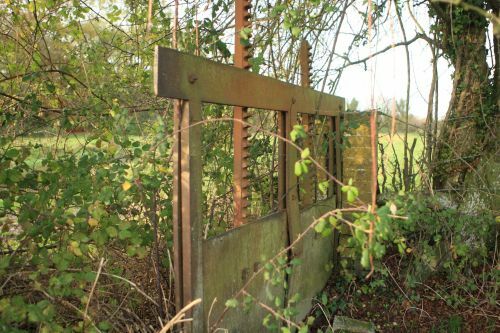 The second method, used by Dr Nigel Holmes, was to get a small excavator into the channel to dig a pool and use the spoil, placed slightly upstream to create a narrow section – this a riffle. 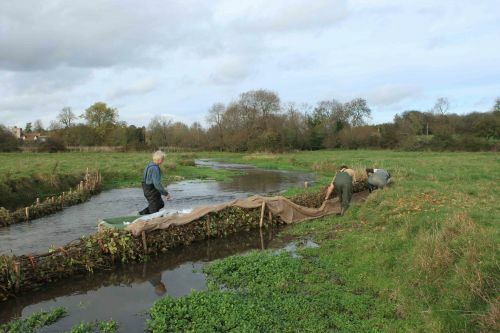 Both methods have created some super wild trout habitat and I’m very much looking forward to the 2010 season to see what the trout think. 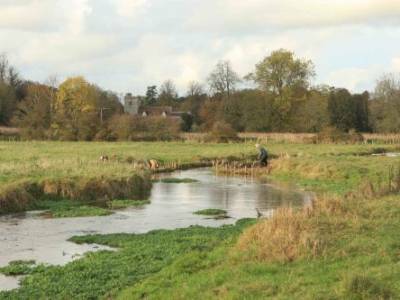 It was understood from the Hampshire Wildlife Trust that this section of the Meon is currently devoid of any water vole population. The currently degraded nature of the reach means that the work is unlikely to damage any protected species or habitats. 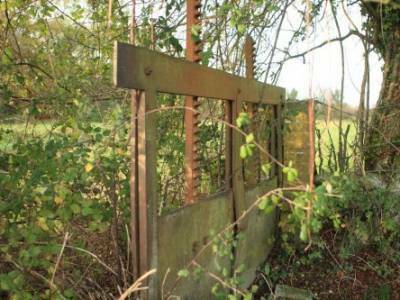 Lastly, the project area was fenced to allow it to establish keeping the cattle off. We also planted some sapling willows on the river bank. All materials used in this project will be locally sourced. Any brought in woody material (chestnut posts, hazel faggots) were purchased from local suppliers harvesting sustainable sources in Sussex and East Hampshire. In the end I only managed to get just over an hour’s worth of fishing in between 6.30pm and 7.45pm on Saturday evening. The first 5 miles of my journey down took over an hour due to an accident which led to the police closing Hyde Park and utter traffic chaos for those like me trying to make our way south through London. As I was part of a group I then had to be back at the Anchor for a 8.30pm dinner. However, still managed to make the most of my fleeting visit. Mostly fishing downstream from the bridge, though I did walk some of the upstream beat. Caught 4 – 2 x 6oz, 1 x 8oz and 1 x 11oz would be my guesses. All on brown bodied klinkhammer emerger size 16. Lovely fishing and I’d love to spend more time getting to know the water. An absolutely superb day by my (or anyone’s) standards. Fish taking small upwinged flies (mostly at the emerger stage) all day, and very few mayfly to preoccupy them. All fish taken on a #14 emerger pattern unique to the flytier Mike Sugg of Dorset: parachute hackle and body alla Klinkhammer, but with a CDC thorax. 17 fish, best 14-15", with plenty of 12"+ fish. Best fish was in quite shallow water in the shady pool underneath the first big tree downstream of Cutts Arch. Only fly-in-the-ointment (literaly) was the plague of horseflies in the top meadows. I was “got" twice in quick sucession and at one time had 3 of the little bastards on me at once (all killed, unlike the fish!). Perhaps worth warning other rods? Hello Howard! 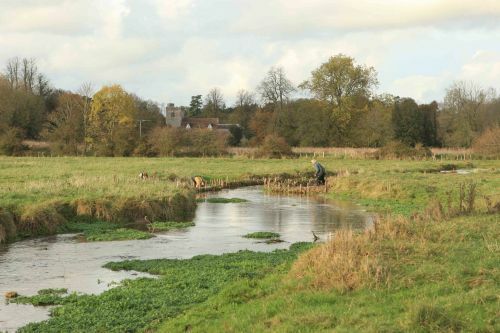 Just to advise we had a very enjoyable day last week on the Meon.Lovely varied beat and we just about got away with the weather! River a bit low due to lack of rain but there was a bit of fly around and the occasional mayfly as well. We caught and returned 23 with 10 of those being pound and above – so really super fishing on light tackle. Most caught on yellow klinkhammer, a couple on black gnat and 2 on a grey wulff.Thanks again for the arrangements much appreciated. Kind Regards, Brian. Olives hatching all day and though not many rising fish, plenty of fish could be “persuaded" by fishing the water with a #14 dark Cahill. Water quite coloured, and certainly not fish-stalking conditions. The rising fish were sitting ducks if I could get the presentation right: that was the most dificult part of the process with the fishing today, because of the myriad streams created by the weed. 15 fish in total, all returned of course. 12 wild trout, best just short of a pound. Yes, honestly! 3 stockies, all around a pound and a half. Lovely fishery! Can I come back please?